Davis Wealth Management, LLC is a Registered Investment Advisor with the state of Ohio. Brian is a Certified Financial PlannerTM (CFPTM) practitioner and holds the Accredited Investment Fiduciary® (AIF®) and Professional Plan ConsultantTM (PPCTM) designations from the Center for Fiduciary Studies. Brian holds the Certified Plan Fiduciary Advisor (CPFA) designation from the National Association of Plan Advisors (NAPA). Brian is also a Chartered Financial Consultant (ChFC) and Chartered Life Underwriter (CLU), as well as a member of the Society of Financial Services Professionals. The designations focus on all the components of a comprehensive investment process, related fiduciary standards of care, and commitment to excellence. Brian graduated from the University of Notre Dame, Notre Dame, IN with a Bachelor of Science degree. 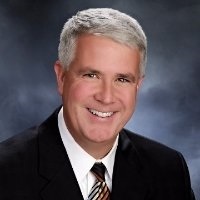 He received his MBA degree with a concentration in Finance from Drexel University, Philadelphia, PA. Brian is a past president of the Notre Dame Club of Akron and currently serves as a Director on the University of Notre Dame Alumni Board. Brian resides in Medina, Ohio with his wife, Anne, and their three children. Brian is an Investment Advisor Representative (IAR) of Davis Wealth Management and also an IAR of LPL Financial. He is a registered representative (Series 7) with LPL Financial.